When you visit the Coromandel, ensure your holiday accommodation is as stunning as its location. 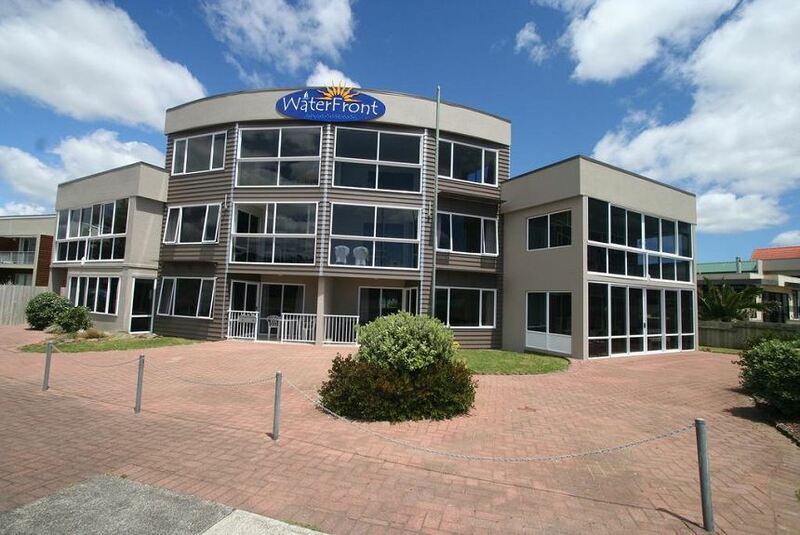 Waterfront Apartments Whitianga is beachfront accommodation located just 30 metres from the high tide mark, on Buffalo Beach, Whitianga’s central beach. Our serviced apartments offer guests sweeping ocean views, and the convenience of being a three-minute walk from fine restaurants, bars and shops. When you stay with us, you have a private entrance to The Lost Spring Geothermal Pools and Spa and are ideally positioned for other things to do in Whitianga and beyond. Choose our luxury Coromandel accommodation to base yourself from, while you explore the beauty of the Peninsula. Your hosts Michael and Kim, look forward to meeting you and warmly welcoming you as our guest. Contact us today.